Twitter lists are a fantastic tool when used effectively. 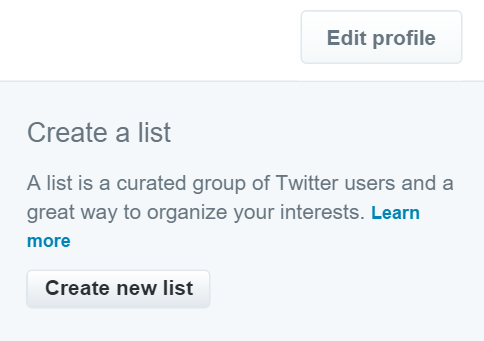 Unfortunately lists are also one of those features that you don’t discover until someone adds you to one. At that point it can be difficult to go back through the list of people who you’re following and categorize them into relevant lists. So if you’re just starting out on Twitter, keep this in mind and start establishing the practices that will make it easy for you to use this feature. And if you’re already following a bunch of people and have never used lists before? Fear not! You can still get a lot of use out lists, even if it might take a bit more effort to get started! Twitter lists are a basic filtering or categorization mechanic for users on Twitter. You can apply these to anyone on Twitter, even if you’re not following them. What those filters are depends on you! 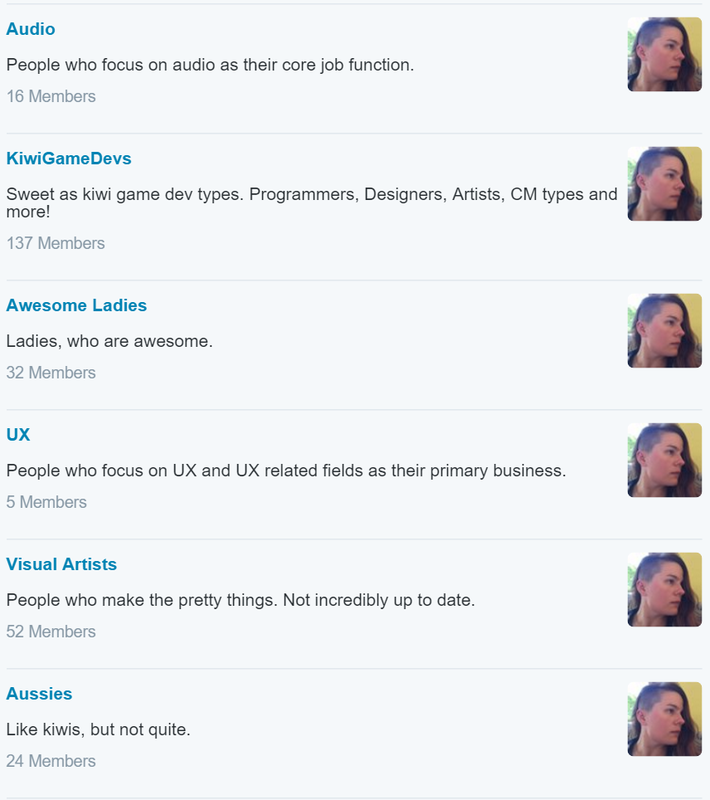 My Twitter lists are a mix of gamedevs, local groups, jewelers, and a few broader categories like ‘Awesome Ladies’. Yes, stare adoringly at my many faces. Look how wistful they are. Lists make it easier for you to keep track of who does what, how you might know them, or what relevant interests brought them to your attention. For example, I’m following 1500+ people. Quickly remembering ‘who am I following that does audio work?’ is a hard question at the best of times, let alone when I’m having an off day. Unless I talk to someone regularly about what they do, or they discuss it frequently, I’m only human and likely to draw a blank. 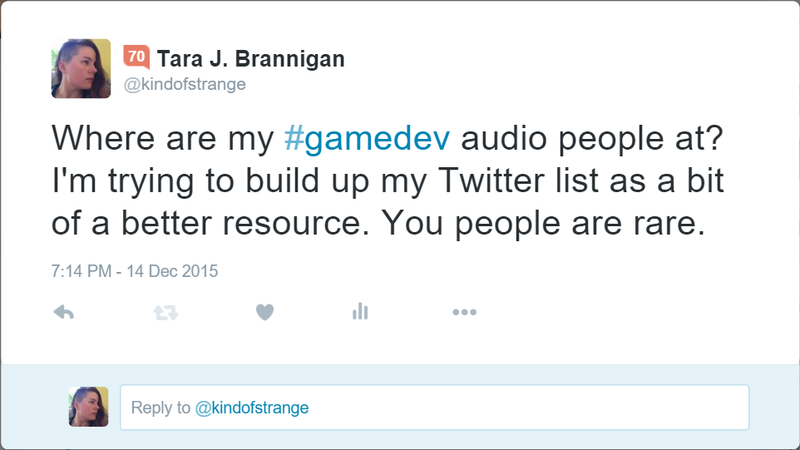 But if I made a list of the audio people I know, and added new people to it as I followed them? Then I can go look at the members of that group, and have a greater chance of locating someone relevant to the task at hand. This also allows me to keep track of people who are experts in a particular topic, but who I might not want to follow on a daily basis. In the instance of the Audio list, I follow 11 out of the 16 listed members. Using lists, I can still easily identify people who I’ve put into that category, and reach out on an individual basis if the need arises. Lists are only for filtering, and cannot be used to target custom audiences. While I can quickly look at what just the 16 people I know in ‘Audio’ are talking about, or quickly identify the individuals I have put into that group, I can’t create a tweet or direct message that’s seen only by people within that list. Twitter does not allow for targeted messaging outside of advertising campaigns, so lists are purely a categorization function, rather than a broadcast tool. Make sense? If you’re new to Twitter, this step is a little easier! You’ll want to sort out what sort of categories you care about, and start setting up your lists from there. It’s really that simple. Like cooking and expect to follow a lot of professional chefs? Create a ‘Professional Chefs’ list! Then as you follow all the amazing chefs on Twitter, make sure to add them into that list. Attending a conference and want to keep track of everyone you’ve added from that event? 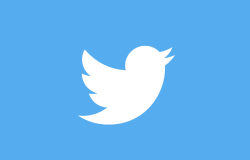 Create a ‘_Conference Name_’ Twitter list! 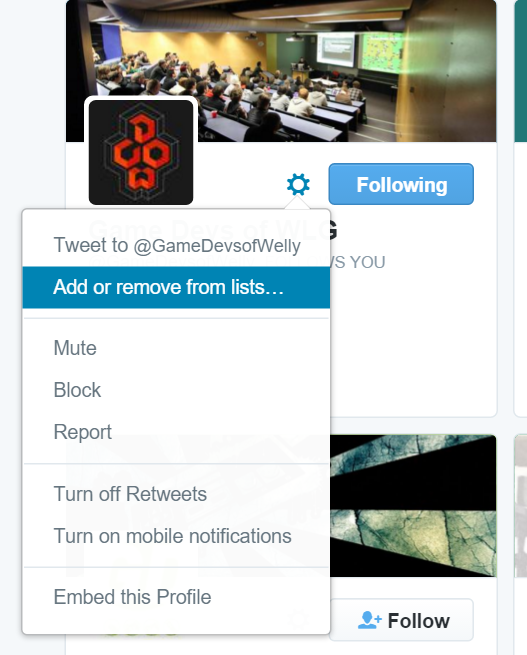 Just keep in mind that people receive notification of which lists you’ve added them to. So if you’ve created a public ‘Arrogant Assholes’ list, don’t be too surprised when people get a bit offended at being added to it! Go to your Lists page. 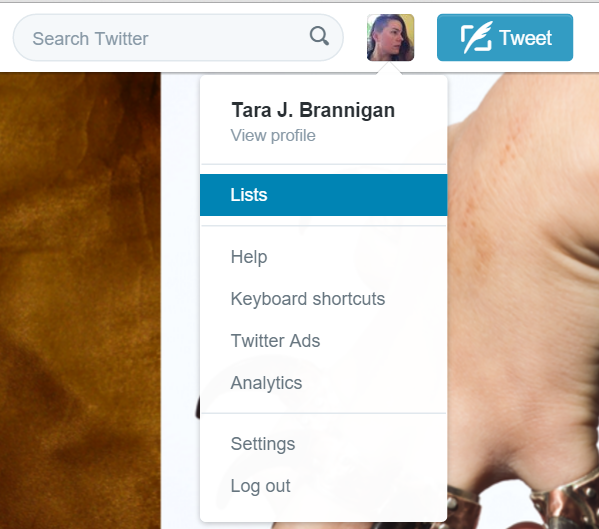 You can access this by clicking on the profile icon in the upper right, and selecting ‘Lists’. From here, select ‘Create a List’ in the right hand column. It should be just under the ‘Edit profile’ button. You should see a pop-up requesting some basic info. 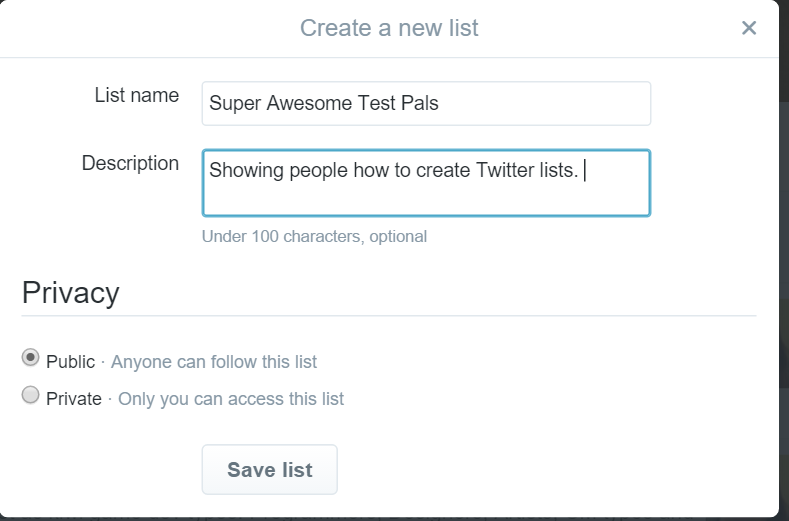 In this case, I have created a new list ‘Super Awesome Test Pals’. By setting the list to Public, I allow anyone on Twitter to follow my list. This allows them to see who is in the list, and check in on what members of that list are posting. This is really useful if you’re creating a list that serves a community function. 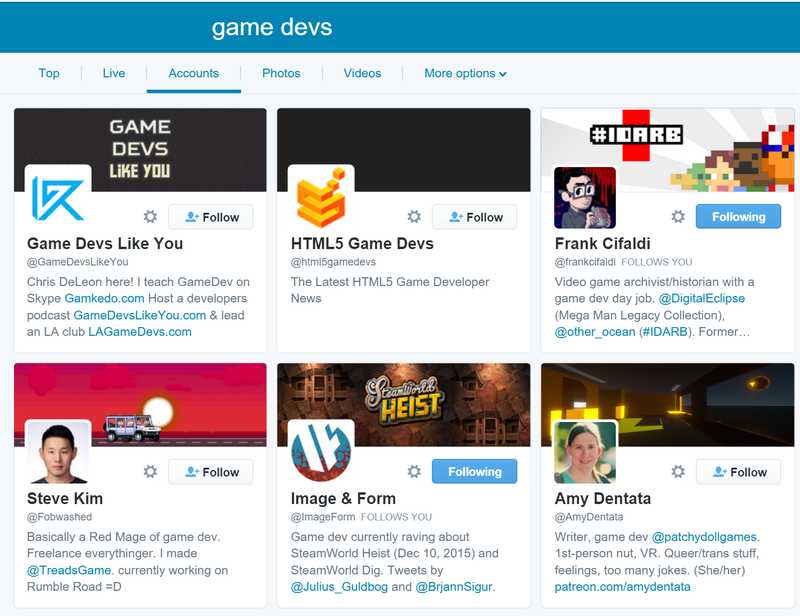 For example, my ‘Kiwi Game Devs‘ list is intended to help other NZ based game developers find each other on Twitter. By making this list public, I ensure that anyone who is interested in following more kiwi game devs can do so with ease. If I set the list to Private, than only I have access to the list. Anyone looking to follow more kiwi game developers would have to do so of their own volition. While there are reasons to make a list Private, I have the vast majority of mine set to Public. I personally hate using the ‘Find people’ function. Unless you’re unsure of who you want to add to your list, it’s a bit of an unnecessary step. That said, if you want to add a bunch of accounts around a similar topic, it can be of use. 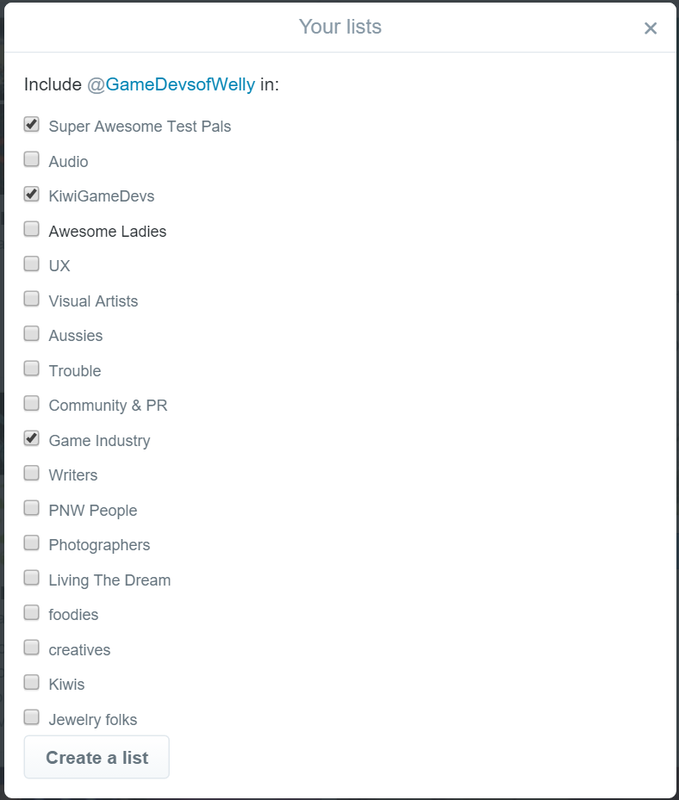 From there, I can add the @GameDevsofWelly account to as many of my lists as I’d like, including my newly created ‘Super Awesome Test Pals’ list. You can also do this by going directly to the individual’s profile, and clicking the icon next to the Following/Follow button. Really, anywhere you can see the little gear next to someone’s Twitter handle, you should have access to the ‘Add/remove from lists’ option. From there, it’s really just a process of slowly adding people to your list. To be the most effective, you want to get into the habit of adding people to your lists as you follow them. Trust me, you will not remember to do it later. Just make it part of your process when following new people and you’ll have a much easier time of it! If you’re like me and didn’t discover lists until you were already following hundreds of people, it can be a bit more tricky to get started. The process is exactly the same as above, but involves going back through everyone you’ve already followed and putting them into the relevant lists. This is… not exactly fun. However, no one says you must have every single person categorized. In my instance, I was following well over 500 people by the time I really looked into Lists. I have not added every single one of those into the correct categories, because frankly it isn’t worth the time and effort for my usage. My lists are more of a general grouping, and I’m not really all that stressed if every single person isn’t in every single relevant list. In my case, I proactively add people to my lists as I follow them, and periodically check if the people I engage with frequently are in the correct lists. Doing a little monthly spot check can go a long way to building out your lists. And if you’re really looking to add people? Ask! People are generally more than willing to help share recommendations of who should be in a given list, who you should follow, etc. The larger your following, the easier this becomes. People tend to follow people who share similar interests, so asking for recommendations almost always leads to enthusiastic endorsement! Note: By posting the above tweet, my list went from 16 people up to 29 and climbing! 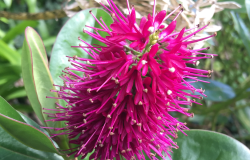 When used effectively, Twitter lists can be a fantastic way to keep tabs on who you’re following, and what interests or professions they might belong to. While this may be easier to keep a handle on when you’re only following a handful of people, the need for such a tool becomes quickly apparent when you’re following several hundred+. By starting early, you’re building the foundation for a resource you’ll find yourself referencing time and time again! Questions, comments, terribly wonderful cheese puns? Drop me a line in the comments, or @boopsocial! Like my writing and want to see more? 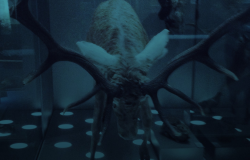 Support my writing on Patreon! Thank you for the post. I’ve been looking in to utilizing the list functions for my work account. I do have one question. When you select Private, do the people you add still get notified? Great question Jared! If your list is set to private, the people you add to it do not get notified. However, as an ex software tester, I always caution towards a bit of paranoia in naming your lists. It’s best to act as though they might become public at any point in time. i.e. Never put anything negative, or which could otherwise be seen as derogatory to the people included in the list should it become public. Thank you for the response, Tara! I generally function with a low level of healthy paranoia at all times when posting online, so I’ll avoid questionable list names. Again, thanks!